One of Dr. Nininger’s early expeditions was to the Brenham, Kansas strewn field. 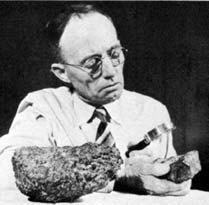 In 1933 he conducted extensive excavations in a depression that was thought, at the time, to be a meteorite crater]. Later work demonstrated that no craters were formed by Brenham pallasites, and that these meteorites happened to have landed in a natural depression or buffalo wallow. 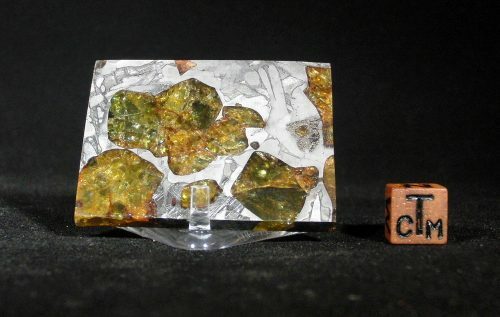 Harvey’s team uncovered numerous small, oval, metallic objects that were later proven to be weathered pallasite individuals. Dr. Nininger coined the term “meteorode” to describe these Brenham finds. 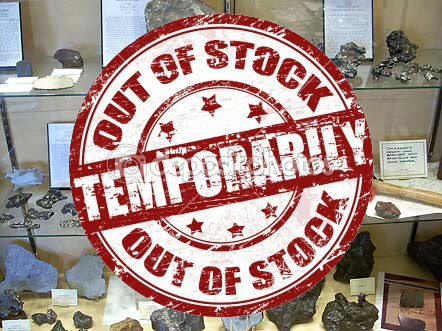 An extraordinary opportunity to acquire an actual find by one of the most important figures in the history of meteoritics.